Heat oven to 350°F. Spray 8- or 9-inch square pan with cooking spray. 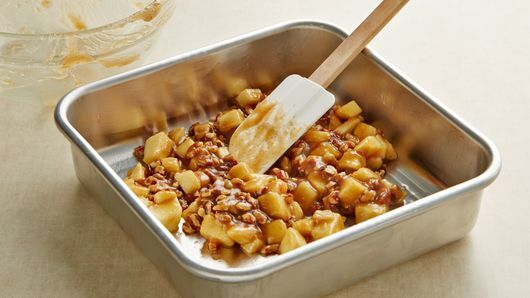 In small bowl, mix melted butter, brown sugar, cinnamon, pecans and apple. Spread mixture evenly in pan. 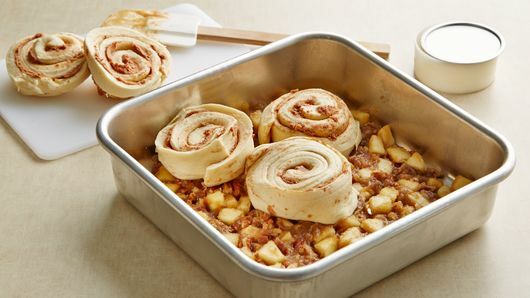 Separate dough into 5 rolls; set icing aside. Place rolls in pan with one roll in center. Bake 26 to 30 minutes or until golden brown. Turn pan upside down onto serving plate. Let pan remain 1 minute so caramel can drizzle over rolls. Drizzle icing over rolls. You can make the rolls with chopped walnuts, or leave out the nuts. 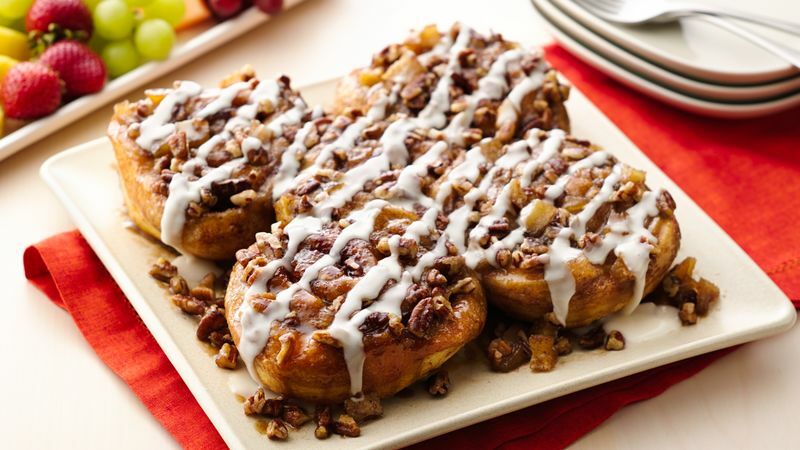 Serve the caramel rolls with a platter of fresh fruit and fresh-brewed coffee for a great start to your morning. To make drizzling the icing easier, place icing in a resealable plastic bag, snip the corner and squeeze.